Scandinavian Water Saving Products introduces three extreme water savings products to the South African market at this year’s Cape Town HOMEMAKERS Expo. “We were experiencing very similar problems on the islands in the Swedish archipelago, so when the severe water restrictions of 50 litres per day were imposed on the City of Cape Town, we decided to import these products to South Africa. Our aim was to save water whilst making daily life easier and maintaining our lifestyles. Using buckets is not meant to be a sustainable nor long term solution.” says Birger Lundgren, CEO and Founder of Scandinavian Water Saving Products. Toilet Eco Flush – this toilet is designed to separate urine from faeces so that you only use 0,3 liters and 2,5 liters respectively to clean the bowl. According to the City of Cape Town a conventional South African toilet uses as much as 10 litres per flush. The Eco Flush toilet has been on the Scandinavian market for more than 30 years and is a well tested concept. Nebia Spa Shower – is a new kind of shower that has won several awards for design and functionality. It has been designed to give you a unique experience of steam and mist whilst at the same time washing and hydrating your body. The nozzles deliver millions of micro droplets, instead of streams of water, saving you thousands of litres of water a year (at least 70% compared to a normal shower head). The shower has been endorsed by Tim Cook from Apple and is installed at the Apple Campus in California. 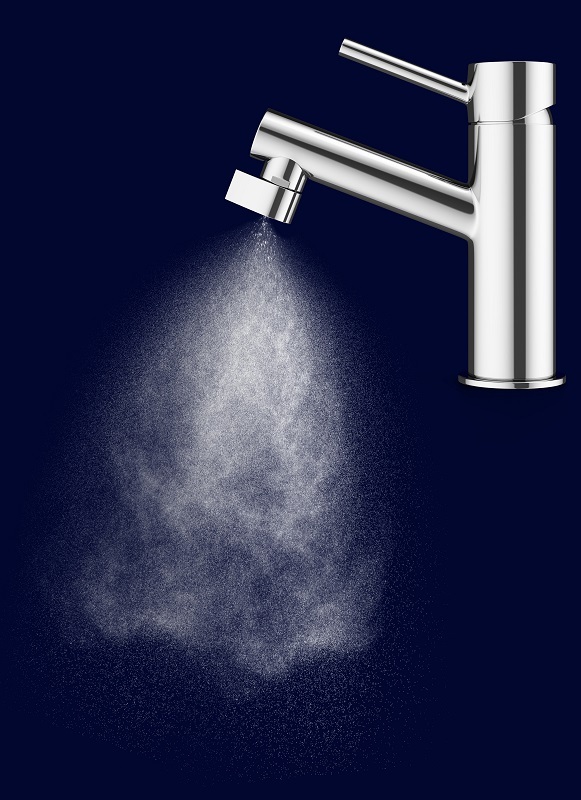 The Altered Tap Nozzle – The Altered:Nozzle is the world’s most extreme water saving nozzle. It is easily installed onto existing taps. By atomizing water it uses 98% less water whilst still retaining full functionality. If more water is needed, the regular mode saves you 75%. The Altered Nozzle was awarded the World Wildlife Fund Climate Solver Award of 2018. The breathtaking Molecular Chandelier by Ashlee Ainsley Lloyd does more than illuminate an interior – it engages the senses. The “Seth” Light By Coote & Wench Design Co. The “Seth” light is a delightful table lamp, in copper, which has been mounted on a solid granite base and is a stunning piece to illuminate any room. Design to your heart’s content using cement and you could win your share of R10 000!